I am a novice at fly fishing and of an advanced age. This can be a difficult combination. Jonas was able to analyze the issues and bad habits I had developed while giving techniques that I can recall when having issues in the future. Jonas is a patient and inventive instructor. I look forward to our next session and have also scheduled lessons for several others. I am a woman of a certain age whose bucket list contains “Fly Fishing”. I just completed a 3-lesson series with Jonas and am truly amazed at what I learned to do in such a short period of time. I CAN CAST and for the most part can cast well. Jonas is an excellent teacher who teaches to the student, not to the method. The individualized lessons taught me basics and then some resulting in the confidence to go fishing. Jonas is patient, knowledgeable, encouraging yet will point out where you are needing to work. All told I could not be more pleased with the lessons, what I learned, how I was taught and the confidence I feel in what was accomplished. I have been struggling with a “tailing loop” problem and haven’t been able to figure out the fix. Jonas saw the problem after just two casts. He fully explained the cause in detail so I could understand it. I remember years ago taking some golf lessons. The golf pro could not eliminate my world class slice and didn’t provide any feedback on the cause. The pro gave-up! Jonas is different. He explains everything and is supportive throughout the entire lesson. I highly recommend him and wish I had met him years ago! I am so pleased with what I learned today from Jonas. He is an incredible teacher. I should have sought out a knowledgeable, wonderful, warm personality and teacher like him years ago. I’m truly excited about learning and getting better. I now know how to actually practice and improve. I will be back for more from Jonas after I advance a bit with the drills that he gave me. His written feedback after the lesson is superb and something to keep to refer back to as needed. Bravo Zulu Jonas. Jonas has reminded me . . . “You can buy rods, reels, flies, and lines, but you can’t buy a cast.” However, he can help you build one; and the pace is a personal choice. Today was my second lesson and we took the feedback from the first lesson and worked on the foundation cast, which is where I was struggling with three things (on the back cast I was opening the wrist to much,to much power, and not stopping high on the forward cast. at the end of the session I was in a groove and once again the teacher(Jonas) was able to break it down on a third grade level so even a college professor could understand it. Again my humble gratitude to Jonas for having the patience of Job and making the challenging learning task an enjoyable experience. There are people who think that giving instructions that they have learned and regurgitate the exact information in the same laborious monotone way is somehow teaching, and then their are true gifted instructors that have the ability to examine, process, and give the needed feed back to the student while making the experience enjoyable for all. The later is Jonas, he is truly a gifted teacher and definitely has a grasp on not only being able to verbalize what needs to be done but the ability to watch his subjects and break down what is going on and dissect each part and assist the student to allow her/him to put the puzzle back together with the accomplished feeling of progress attained. Jonas I thank you and look forward to a long relationship. Thank you for agreeing to accept me as a student. 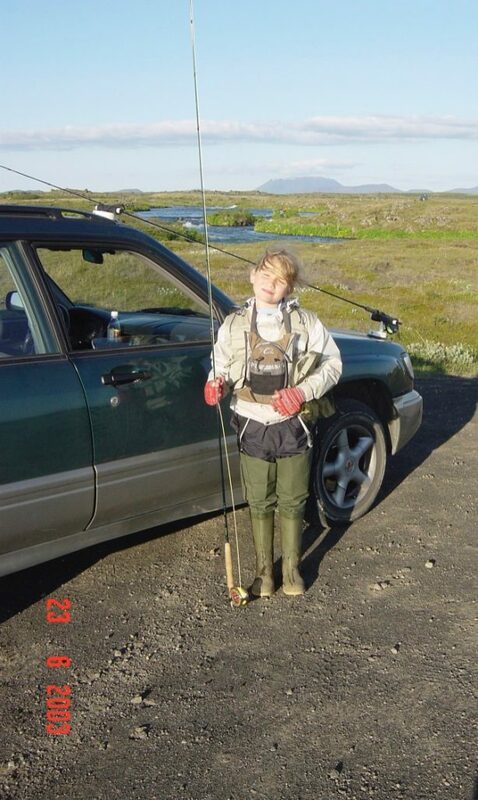 Jonas has a dedication to and knowledge of fly fishing unsurpassed by anyone I know. The information, including tactics, techniques, and his experiences are an invaluable guide to the world of fly fishing. Thank to you Jonas, for your instruction in helping me improve many facets of my limited skills. Mr. Jonas is a fine fly fisherman and VERY talented at multiple casting techniques. However, more importantly, he is a great instructor and mentor. Simply delivering the same block of instruction repeatedly for each student does not make you a fly instructor. He reads his client and conveys his message in multiple different ways until it is received by his student. I am a beginner fly fisherman with zero knowledge and experience, especially in saltwater. After a few hours with Mr. Jonas a few months back, I can now cast my entire fly line with accuracy and positive fly presentation. He covered so much more than just casting techniques. He taught me how to read the wind and use it to my advantage. He covered equipment and tackle and how they are used for the sport and which combination is best for my fishing aspirations. Thanks again Mr. Jonas. You were very patient and gracious with your time. I worked with Jonas for 3 lessons. I saw a definite improvement not only in my casting, but also in my ability to understand what went wrong when I made a poor cast. To me, this is the sign of a good teacher. He gave me the understanding I needed to improve my casting, even after the lesson was over. I also thought it was impressive that he correctly diagnosed one problem in my stroke just talking to me on the phone! That was a nice parlor trick. Not to mention that he’s fun to talk to and an interesting guy. I enjoyed working with you. Stephen. Jonas helped iron out my faults with casting a 9 weight when I am salt water fishing. The lessons I learnt also improved my fresh water fishing. Whenever and wherever I fish and I encounter difficulties with my casting the advice of Jonas will come to mind. I then settle down,regroup, think of his advice and do things right. Jonas has an easy going gentle manner and a wry sense of humor, this makes the sessions comfortable and enjoyable. I would recommend Jonas without reservation. Today my wife had her first lesson, within a 1 hour period she was casting between 40 to 60 feet. A big thank you from us both Jonas! When you are looking to learn fly fishing, you need to find a capable mentor who not only knows fly fishing, but is also able to convey his knowledge. I felt that Jonas read me and my abilities in order to properly instruct me how to start this journey. If you have the opportunity to work with Jonas, I highly recommend him. I was getting into fly fishing and found Jonas on a visit to Gulf Shores. He spent an entire morning with me, and in those couple hours, provided an incredible foundation that has supported numerous fishing trips and sometimes catches. He’s always prompt with feedback via email–which I take full advantage of–and offers great instruction if you are interested in fishing beyond small streams/fishing saltwater. If you are thinking about really getting serious about fly fishing then your casting techniques have to be rock solid. Jonas can get you there. He knows all the different techniques and how to teach them. Give Jonas a call and he will tighten them loops up. You won’t be sorry. Started fly fishing with my son and his room mate several years ago. I was self taught and fished mostly in the North Georgia and North Carolina mountain streams. I go to the beach fairly often and wanted to learn from a local about fishing in the ocean. Met with Jonas for a casting lesson. I realized that I needed to improve my casting. He was very patient and was able to help me straighten out my problems. I hope to meet with him again on my next beach trip and hope to catch a few fish together. If you are just learning to cast a fly rod, or want to correct some bad habits, Jonas is the guy to see. 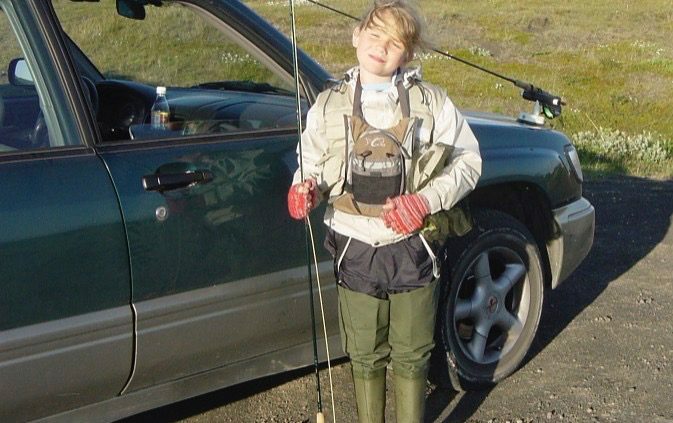 I’ve been fly fishing intermittently for a long time, trying to figure it out on my own and it just wasn’t working. Saw Jonas for a few one hour sessions, and noticed immediate improvement in my casting. He was able to pick up on the mistakes I was making in seconds, correct one aspect at a time simply and succinctly. I’ve been able to sustain the improvements and getting better each time out. He also has a calm friendly manner that doesn’t intimidate or berate. Definitely worthwhile to look him up and have him improve your casting, and ultimately your enjoyment of fly fishing.